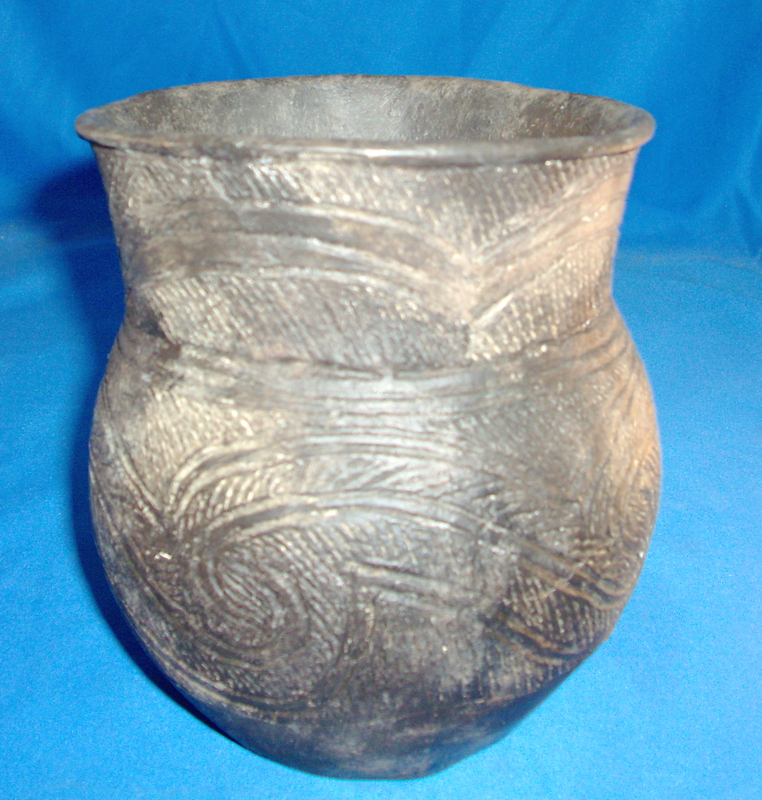 A Medium Size, Artistic, Well Made,Caddo Foster Trailed Incised Jar That Exhibits Surface Oxidation And Sheen Coloration Aging Patination, Correct Style Incising For The Shape Vessel, Aged Open Pit Firing And Firemarking, Evident Bottom Use Wear, Correct Material And Manufacture For The Area Found. This Example Is Pictured In "Art Of The Ancient Caddo Page 88, Fig. # 179. Ex-Dr. Kent Westbrook, Sam Johnson And Jack Bonds Collections. This Vessel Has An Excellent Decoration! Includes A Ken Partain Certificate Of Authenticity!